Many criminal charges involve theft. Shoplifting, burglary, and robbery are just some of the theft crimes in New Jersey. The charges and penalties for these crimes vary based on how they were committed and the value of the goods or services allegedly stolen. At the Law Office of David Jay Glassman, our legal team defends clients against the full range of New Jersey’s theft charges. Whether your charge is a disorderly persons offense or a felony, we fight it with every legal tool we have at our disposal. We serve clients throughout New Jersey from our offices in Marlton, Newark, Hackensack and New Brunswick. The common element in all these crimes is something being taken. The involvement of other elements can lead to different charges. For example, burglary charges are based on entering a property for the purpose of committing a crime, and robbery charges involve a theft through physical force or intimidation. Second-degree theft. Some of the circumstances that can lead to this charge are extortion, theft of goods valued at $75,000 or the theft of large amounts of controlled substances. Third-degree theft. These charges result from a variety of situations including the theft of goods valued above $500, the theft of a firearm, embezzlement or sometimes robbery. Fourth-degree theft. This charge is typically for the theft of goods or services ranging from $200 to $500 in value. Disorderly persons offense. This is typically known as petty theft and involves goods or services valued at less than $200. Property crimes such as vandalism and graffiti are treated much like theft crimes and follow a similar scale based on the amount of damage done. There are many factors that can change the degree of the punishment for a theft crime. Possession of a weapon during a robbery or the theft of certain items such as a car may involve additional punishment. Our firm does everything possible to get your charges reduced or dismissed due to insufficient evidence. Any type of theft offense can lead to serious punishments and may hurt your ability to get a job in the future. 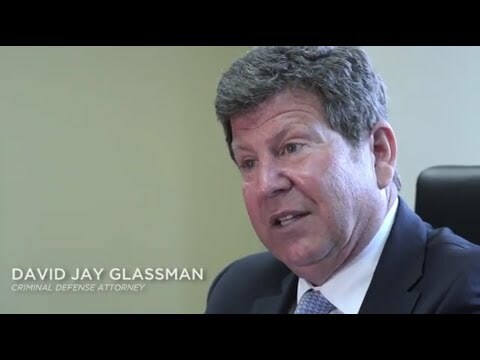 The Law Office of David Jay Glassman aggressively fights theft and burglary charges from our offices in Marlton, New Brunswick, Hackensack and Newark. Our legal team handles cases throughout New Jersey. Arrange a free consultation with our criminal defense attorney by contacting us online or calling us at 866-221-1270.